Antimicrobial materials reduce the chance of infection significantly. This is especially useful in medical devices molded with this material. Healthcare acquired infections, or HAIs, are a statistic that can cause alarm in the healthcare community so it is meticulously tracked to make sure products are safe for use.Devices like in-dwelling urinary or vascular access catheters, IV components, wound dressings, medical equipment, and implantable devices are all using antimicrobial materials in production. The challenge is finding a way to keep the devices antimicrobial for the lifetime of the product. Silver is a widely used coating and is known to kill over 99.99% of bacteria within 24 hours of contact. It remains effective over the lifetime of the product. Newly advanced polymers are also being made with antimicrobial agents embedded in the resin itself. Now, after the underwhelming success of the 5c, they are blaming it on the plastic. 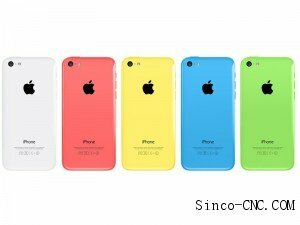 Former Apple ad executive Ken Segall wrote in his Observatory blog,”Clearly plastic was a big part of the iPhone 5c strategy. The launch ad was entitled Plastic Perfected. There was a strategic plan to head off the potential negative by boldly proclaiming it as a positive. There was some risk there, given that Samsung’s plastic Galaxy phone was often criticized for not being as substantial as iPhone.